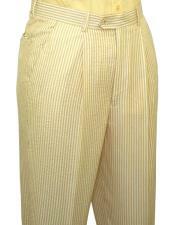 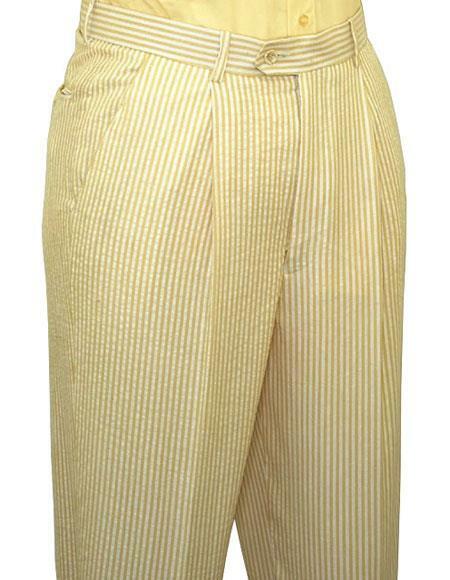 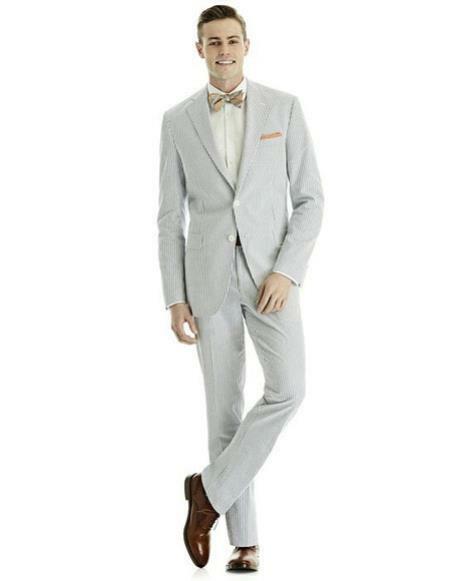 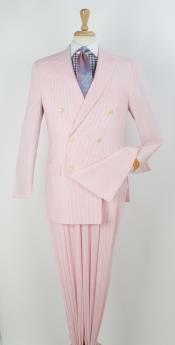 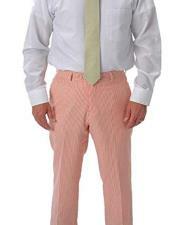 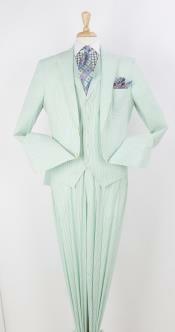 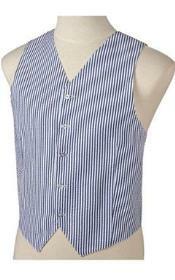 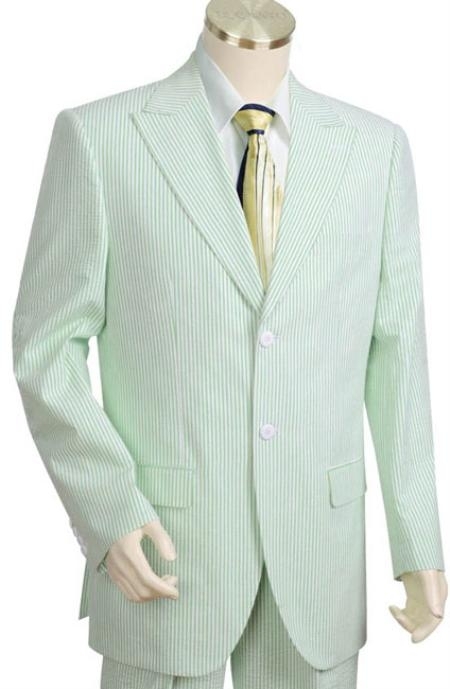 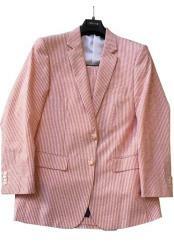 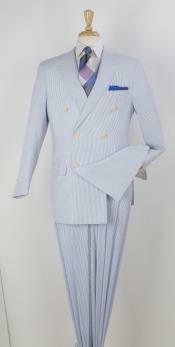 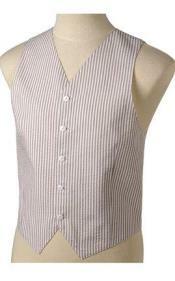 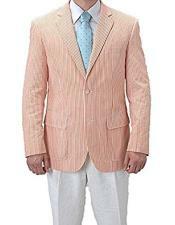 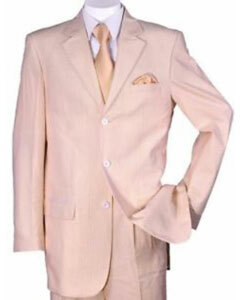 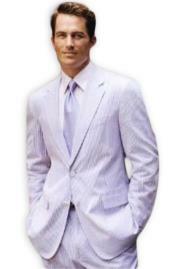 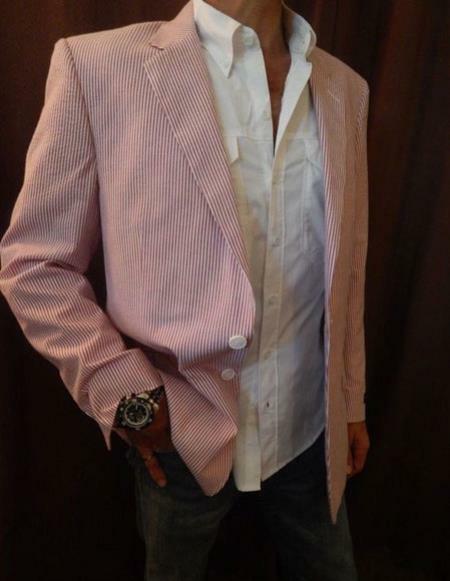 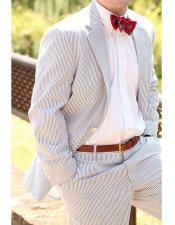 A men's seersucker suit is perfect for summer events. 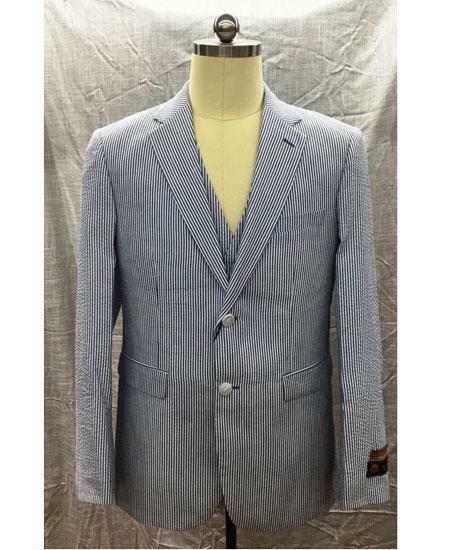 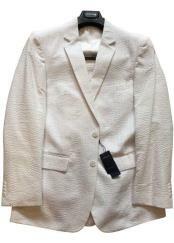 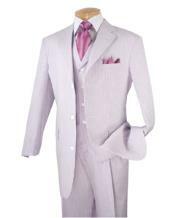 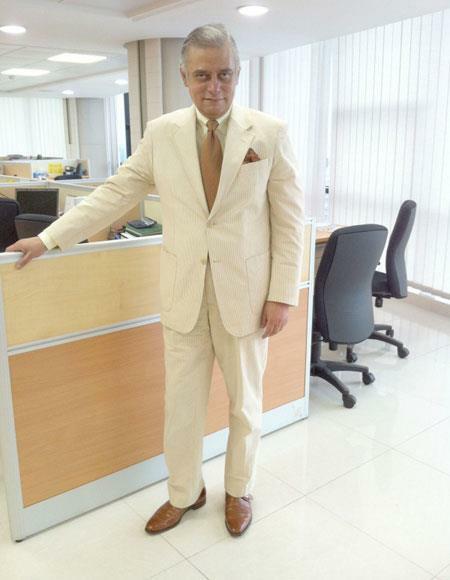 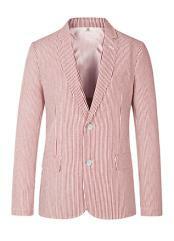 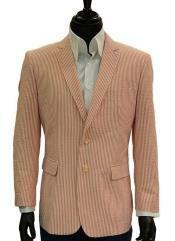 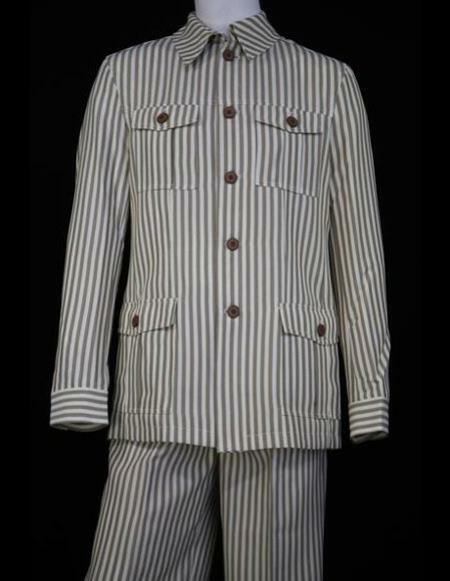 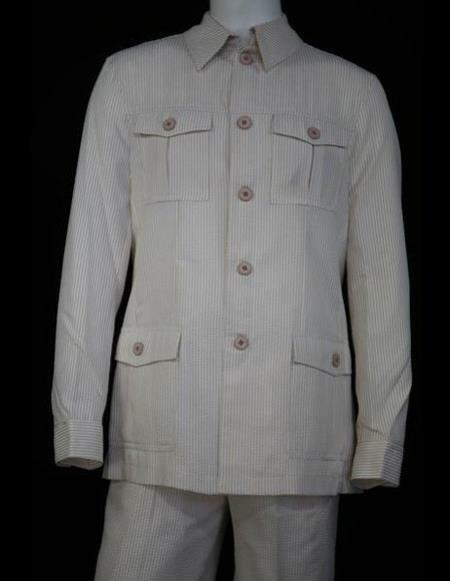 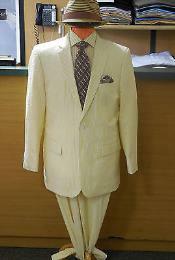 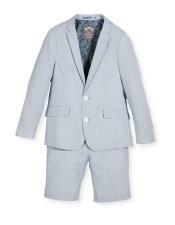 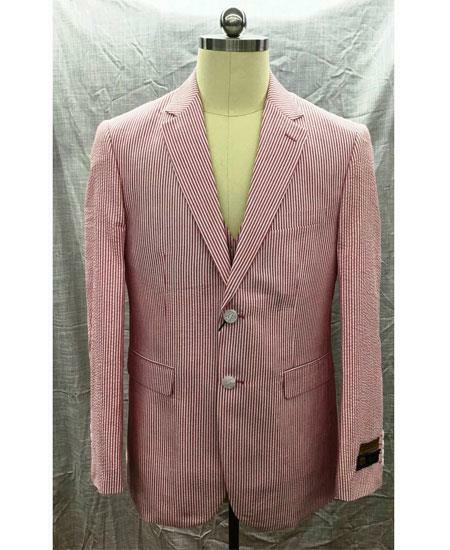 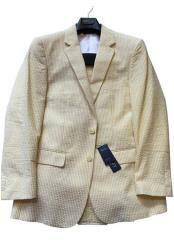 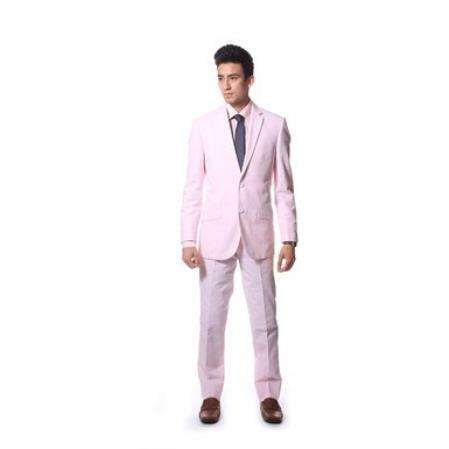 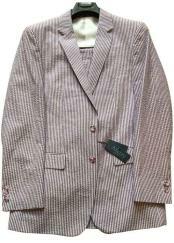 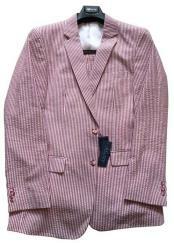 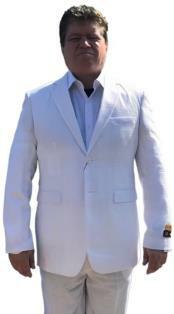 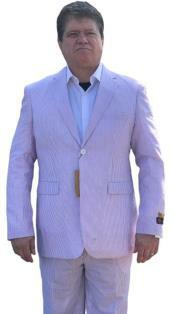 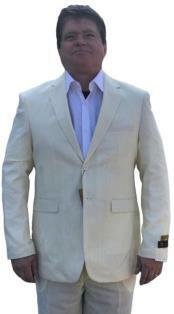 The use of cotton and light weight materials makes this type of suit comfortable to wear in the heat of the summer. 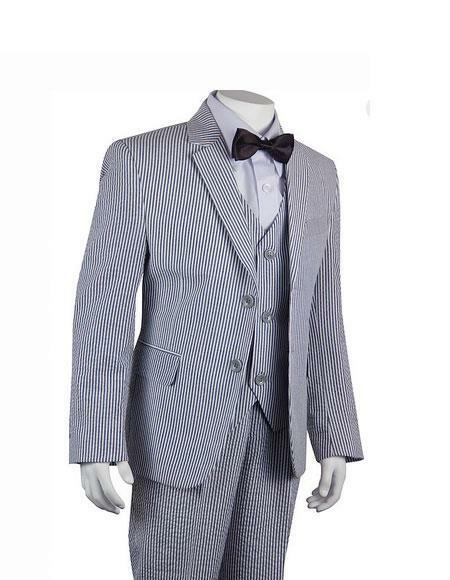 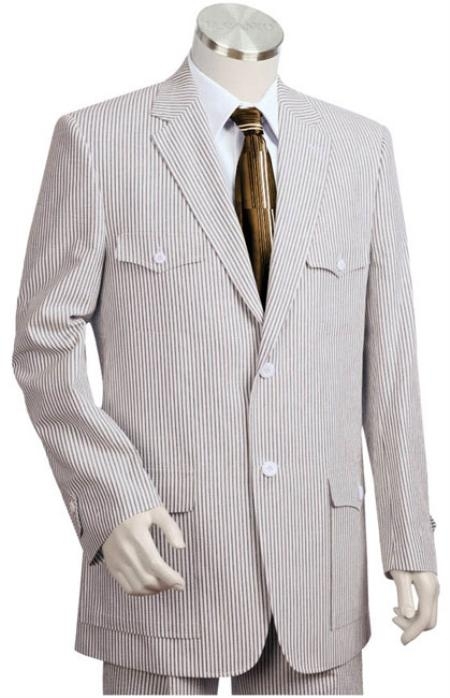 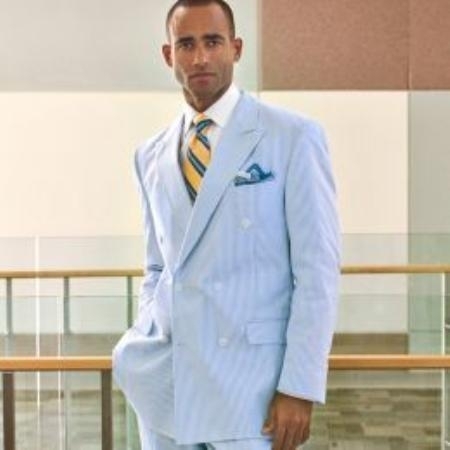 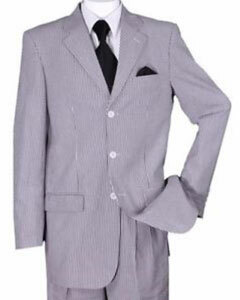 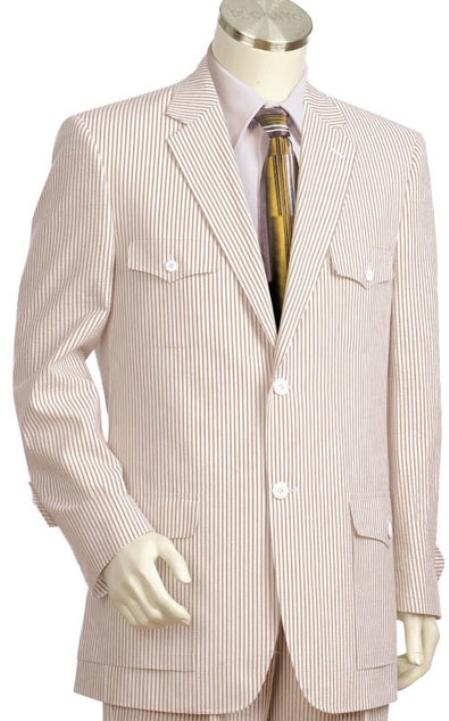 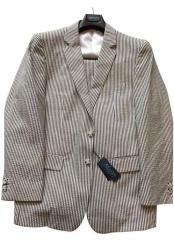 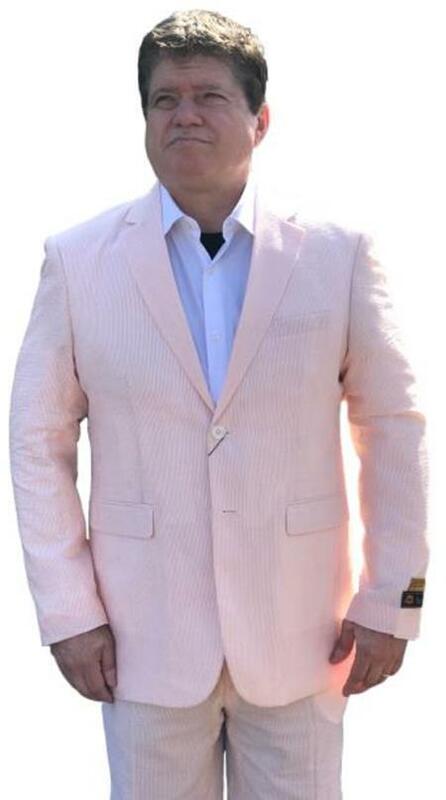 We carry seersucker suits in a variety of styles including two button, three button, three piece suits, fashion suits and zoot suits. 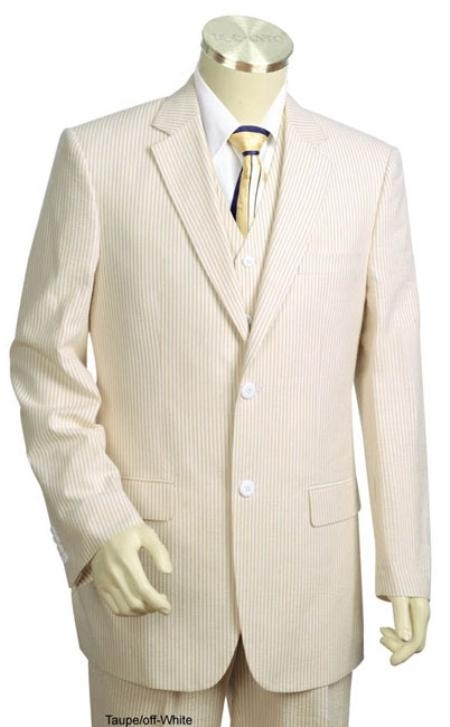 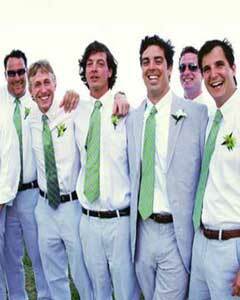 There are a variety of color options in men's seersucker suits. Some colors are bold and attention getting such as red, pink or aqua. 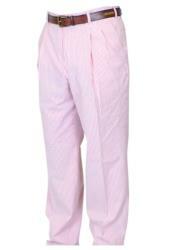 These are great if you want to stand out from the crowd. 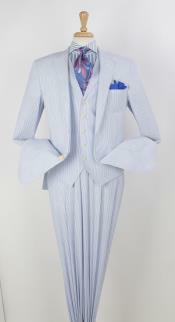 If you aren't looking for attention, colors such as black and white, gray and white or blue and white are good options. 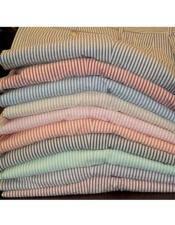 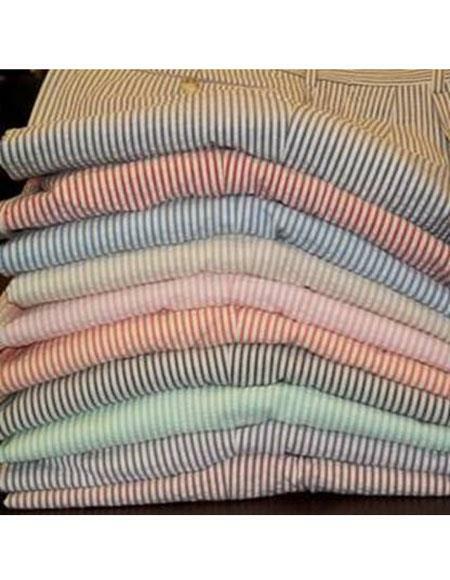 We carry a range of colors to suit either personality. 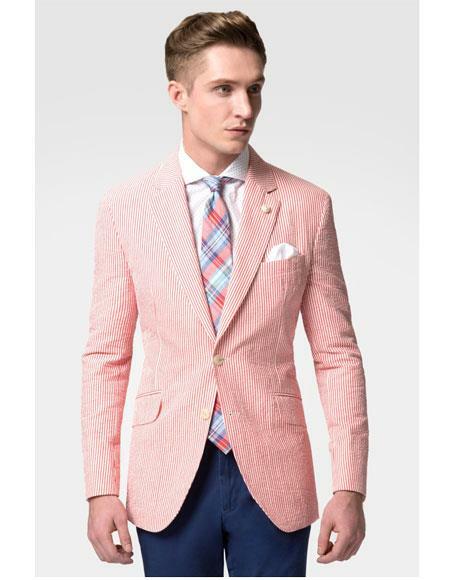 The men's seersucker suit is a versatile addition to your wardrobe. 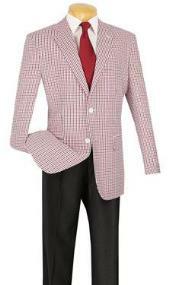 In addition to the matching pants, you can wear the jacket with other pants or even jeans for a more casual look. 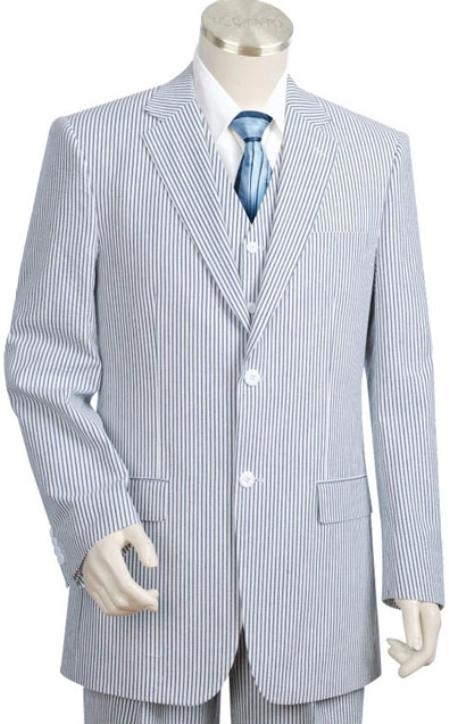 When you are trying to build a wardrobe on a budget, this is a great choice. You can create a few different outfits using the seersucker suit or the jacket. 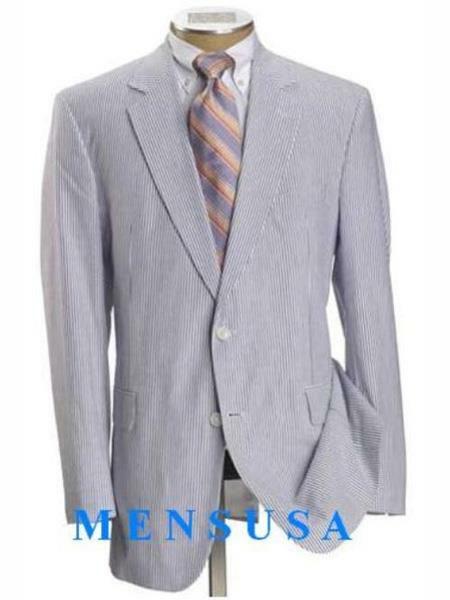 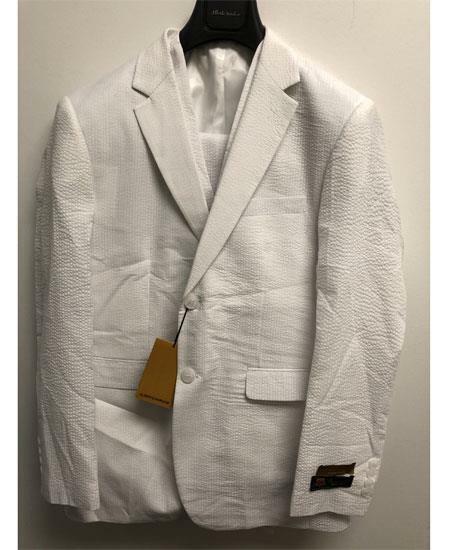 At MensUSA, we provide our customers with high quality men's seersucker suits. 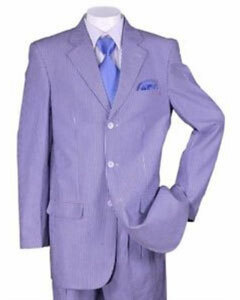 You will find that our suits are of comparable quality of major designers such as Armani, Boss and Canali. 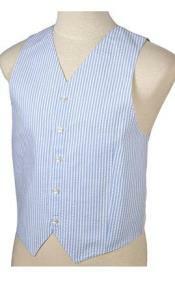 We use similar quality fabrics and workmanship for our clothing as the major brands. Our prices are considerably lower, so you don't have to pay the high price of a designer label for superior quality and fashionable clothing.